Manchester ad agency Cheetham Bell has created a new identity and communications for BBC Radio 2 Live in Hyde Park. After securing a place on the BBC design roster in February, Cheetham Bell successfully pitched for the project. 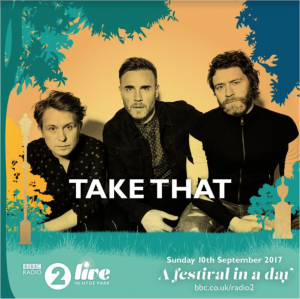 The Live in Hyde Park line up was announced this morning, with huge acts including Take That, Blondie, Stereophonics and special guest Shania Twain. The main event is Sunday 10th September, and tickets go on sale 8am on June 8th.